The Christmas tree. These words make me shutter a bit because buying a Christmas tree at our house when I was a child was not always fun. My Grandmother, on my Mother’s side, had the most beautiful tree I have ever laid eyes on. It was tall, full, fake, and flocked. Every year I would hope that it would be the year we would get a flocked tree. Then, the misery of obtaining the tree would not be so bad. But, no. Never. Not once, did we have a flocked tree in our home. Our tree, was always tall (too tall in fact), full, real, and green. Also bought after December 9th and never, ever, before. The adventure would start out with my dad and me going to find the tree. And because it was after December 9th, the good trees were almost always gone…go figure. However, once my Dad located a tree that was acceptable to him, the pain and misery would begin. My Dad would begin wheeling and dealing with the tree salesman as if we were buying a car. I am not kidding. This meant that the tree salesman and my Dad could not come to terms on the price of the tree. Who knows, it could have been the difference of $5 or $20. It did not really matter. Onto the next tree lot we would go and the pain would start all over again. After we had been to lot after lot, after lot, my Dad would finally pay for a tree and I would be happy…at least for the ride home. When we returned home, my brother and my dad would then open the french doors from the patio into our living room and drag the tree into the house. This is when we would almost always realize that the tree was too tall for our house, despite the fact that we had vaulted ceilings. My brother and dad would then start sawing off parts of the tree. When the tree was then able to stand in our house the decorating fun would begin. 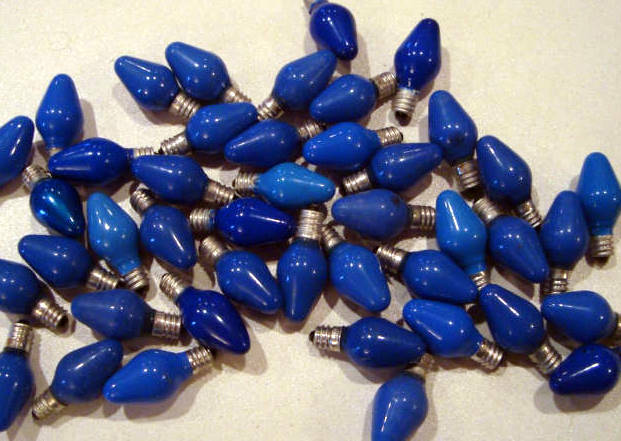 We would hang our blue lights on the tree, the blue Christmas balls, our homemade decorations, as well as the decorations my mother’s students had given her over the years. We would throw on TONS of the silvery icicles that just screamed “we do not care if our tree looks tacky”. Then the fun would stop. It would be time to put the star on top of the tree. This meant that I was called upon to stand on the shoulders of my brother who is over six foot tall. You see, my brother and I have not always had the greatest relationship. When I was a kid, I did not like him so much and he was well aware of it. So, as I was climbing onto his shoulders I would start to think about him dropping me by “accident”. I would always start by trying to just sit on his shoulders and bend the tree. This never worked. So, my parents would start telling me to stand up. Meanwhile, my brother would be visibly over the entire thing. I would shake as I stood up and prayed that he would not drop me. I then bent the tree over and put our BLUE star on top. I was sweating profusely by the time I returned to the ground. I cannot fully express to you the joy that came over me the year it was announced we were buying a fake tree. Furthermore, the tree is not 10 feet tall, but a more reasonable 7 feet or so. It is not flocked, but that is okay. My dad still has that tree and I still help put it up. And every year, I am so thankful that I am not going from Christmas tree lot to Christmas tree lot looking for a great bargain of a tree. I am thankful that I am no longer instructed to get on my brother’s shoulders to get the star on top. And most of all, I am thankful that the blue star, blue lights, blue Christmas balls, and silver icicles are no longer on the tree. Well, one blue light remains on a strand of lights. It is important to remember where you came from.